It’s a good day to be a Hallmark Channel fan. Today, the network announced they’ve renewed Meet the Peetes for a second season. What do you think? Have you seen Meet the Peetes? Will you watch season two? More about: Hallmark Channel TV shows: canceled or renewed?, Meet the Peetes, Meet the Peetes: canceled or renewed? Good Witch: Season Four; Would You Keep Watching the Hallmark Series? When Calls the Heart: Season Five; Should the Hallmark TV Show Be Renewed? I do not subscribe to Hallmark Channel to watch any reality TV. When Meet the Peets comes on, I will be changing the channel . Hate that show. I will not be watching this reality show. I will change to another channel. I watch Hall mark for the movies, not for reality tv. I will not be watching meet the peetes. When they come on, I turn to another station. I do not want to watch reality tv. I watch Hallmark to get away from reality tv. IF Hallmark goes in that direction, I will discontinue my service for the channel. This is a great show and I am so happy to see that there will be another season!!! I love this show! !❤️❤️❤️ Beautiful family!! I admire the Peetes keeping their family together and thriving in La-La land! They are great role models for any family and I appreciate the awareness they raise for children with autism. I love them and am happy to learn they have been renewed for season 2. If Meet the Peets is the best you can dig up, I am going to Netflix and Hulu. 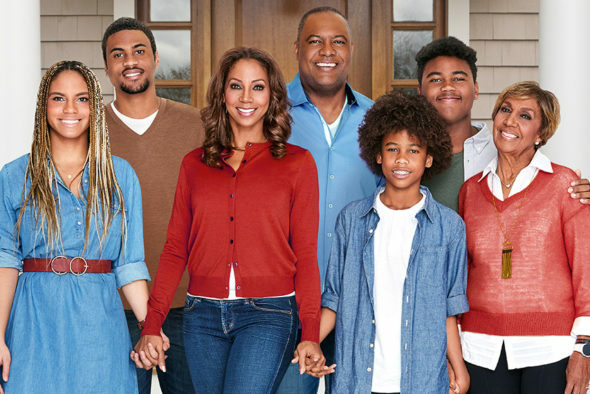 I hate this show and I’m black. This is who you feel represents diversity, seriously? This along with Monk and Psych is,a complete turnoff. Good luck. IT all comes down to your preference and if it doesn’t work for you then that’s ok. But it is a very wholesome show which for all intense purposes is what Hallmark represents. Good job and love the black real love!!!! Wondering why you feel that way? I like this family and im black too. I dont live in their world but still enjoy who they arw and what they’re about. I’m with you, Chon. ditto for Psych and Monk too. Modern Family can bye bye too.. Psych and Modern Family are shown on two other channels . . we are saturated. I do not want to see reality tv on Hallmark. Can’t stand the show either. But I don’t like reality tv. I watch Hallmark to escape reality tv and daily life. I absolutely love this show. The family is so sweet. My 11 year old even started watching it with me. It is so nice to have something on tv that is safe to have on with children around. Can’t wait for Season 2!!! This show is very boring.